In 2018 the project “Construction of Sub-Phase 2 Phase II construction of the Scientific and Educational Complex “Nazarbayev University” became the finalist of “IPMA Global Project Excellence Awards 2018” competition in the category “Mega-Sized Projects”. At the second judges meeting in July 2018 international Judges, representing previous award winners, different sectors and industries as well as the academic world decided on the finalists in the IPMA Global Project Excellence Award competition and selected the winners of the gold, silver and bronze prizes in three categories: medium, big and mega-sized projects. The judges based their decision on the reports provided by Project Excellence Assessment teams, which evaluated the applicant projects in accordance with the IPMA Project Excellence Model. The Project Excellence Global Award assessment process consists of various steps. First, an assessment team of four or five assessors evaluates the Application Report submitted by the applicant. Second major part of the assessment process is the two or three day Site Visit, during which the assessment team looks for evidence of project excellence by interviewing important stakeholders for the project including the client, project team members and other stakeholders affecting or affected by the project. The Site Visit results in a second Judges Report from the Assessment Team which the panel of judges uses to select the finalists and prize winners. These winners will be announced at the Gala night during the global PM Days in Helsinki, on the 30th of October 2018. All applicant projects, regardless of the award level assigned, receive a detailed Feedback Report prepared by the Assessment Team, which includes strengths and areas of improvement for all twenty Project Excellence Model sub-criteria. The Feedback Report is an excellent basis for implementing improvements in future projects and for reflecting on what has been achieved so far. 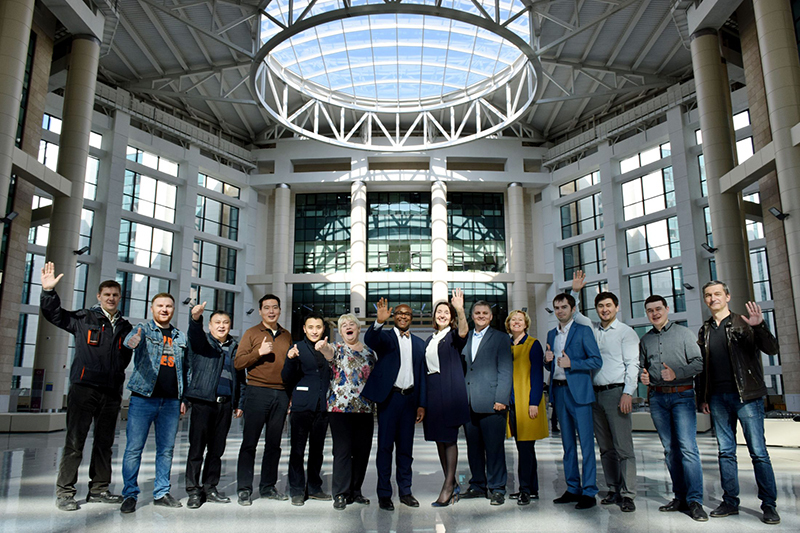 In 2017 the 30th IPMA World Congress was held at Nazarbayev University. “Nazarbayev University – Education Reform Leadership and Human Capital Development” project became Silver Award Winner in the category “Community Service/Development Project” and the “Nazarbayev University School of Medicine” project implemented by the Project Team of “Facility Construction Directorate” private entity became Gold Award Winner in the category “Big-sized projects”. The project goal of which was to create a world-class institution and to generate and sustain excellence in health education and biomedical research by creating a supportive and stimulating academic environment.